The Cybersecurity Canon is official, and you can see our website here. We modeled it after the Baseball or Rock & Roll Hall-of-Fame, except for cybersecurity books. We have 25 books on the candidate list and we are soliciting help from the cybersecurity community to increase the number to be much more than that. Please write a review and nominate your favorite – we’re actively soliciting your feedback! 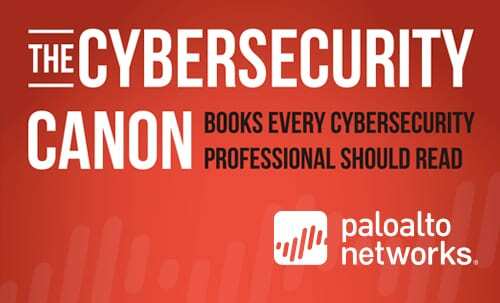 Coming soon: You will get the chance to vote on which books you want to see join Parmy Olson’s We Are Anonymous in the Cybersecurity Canon. Public Internet voting opens on February 1, so watch this space to find out how to vote for your favorite cybersecurity book. Winners will be inducted into the Canon at the Awards Ceremony during the Ignite Conference in Las Vegas on April 1, 2015. Don’t see your favorite cybersecurity book on the candidate list? You should submit it for consideration.